Funny Yo 2 was available as a giveaway on November 28, 2018! 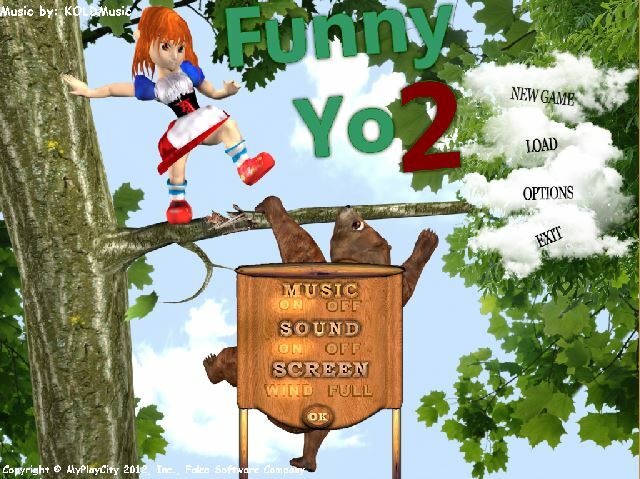 How would you improve Funny Yo 2? Funny Yo 2 downloads to a 51.8 MB zip file that unzips to three files, (a setup.gcd security wrapper, the set-up file and a read me). Those with multiple hard drives can save games on any drive they wish. The newly installed game is 48.5 MB in size. The game installs to the following path by default, but can be changed by the user if you prefer. If you check the desktop shortcut checkbox you’ll get one or or more of the following shortcuts installed to the desktop. 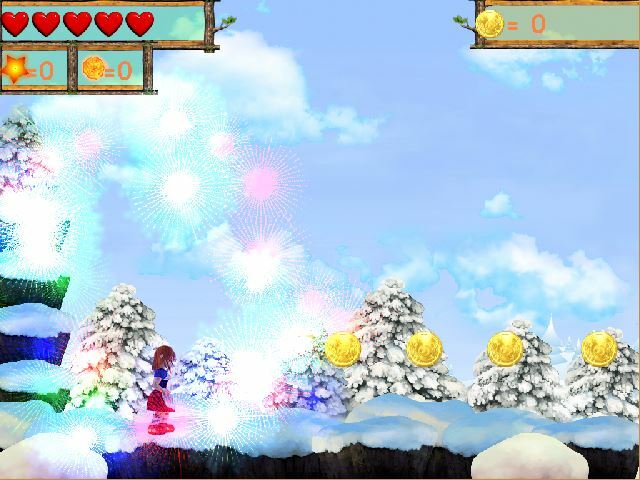 FalcoGo WebGL Games! Free Games Downloads! 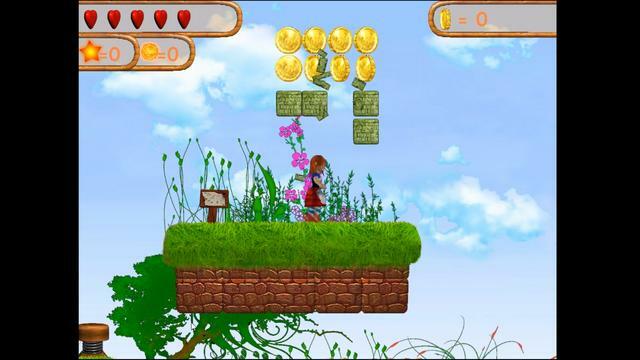 FalconLine Online Games Website, and Falco Space - Online Game plus the games executable shortcut 'Funny Yo 2'. All these apart from the games shortcut can be deleted safely. •	A - Move left. •	D - Move right. 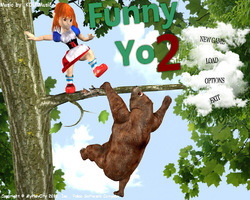 Funny Yo 2 is a continuation of Funny Yo 1 the game we were given last week including the cute female protagonist. What has changed is there is no down looking key but power-ups remain, including shots, invulnerability, extra-life, etc. The latter two are especially useful if you encounter hedgehogs as they cannot be killed by jumping on them. 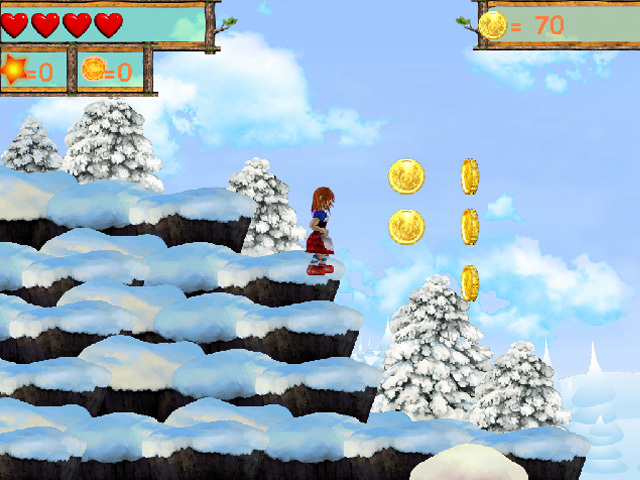 The game is a basic platformer with colorful graphics, set key bindings and no profile set up. If you’ve previously played the game, your progress is automatically saved unless you click on the new game button. Doing that will erase any saved data from your previous game. 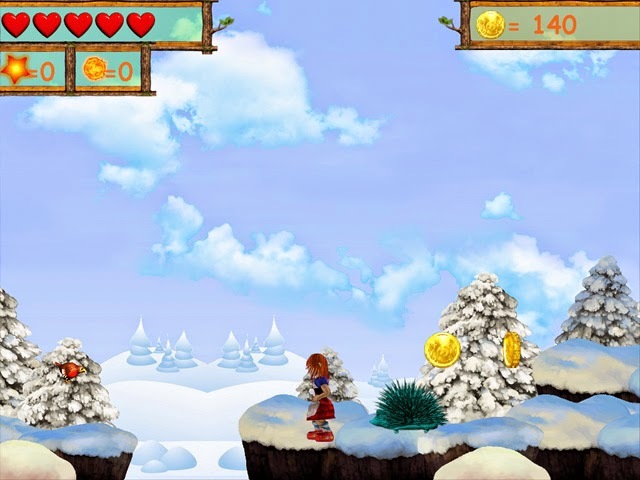 You move from left to right collecting coins to boost your score, jumping on enemies to kill them, or, in the case of the hedgehog, avoiding them completely because the spikes will remove one of your lives, that is unless you’ve managed to pick up a useful power-up. If you haven’t you can only jump over them or find an alternate route. For each level you are given 5 lives. This makes the game relatively easy to complete without having to start from the beginning. The cute and colorful graphics make this a great family game, especially families with children (aged 8 and upwards). There is no adware included with this game so when you close the game down, your browser is not opened to the distributors home page like with MyPlayCity and other free game sites. There are a couple of extra shortcuts added to the desktop i.e. FalcoGo WebGL Games! Free Games Downloads! 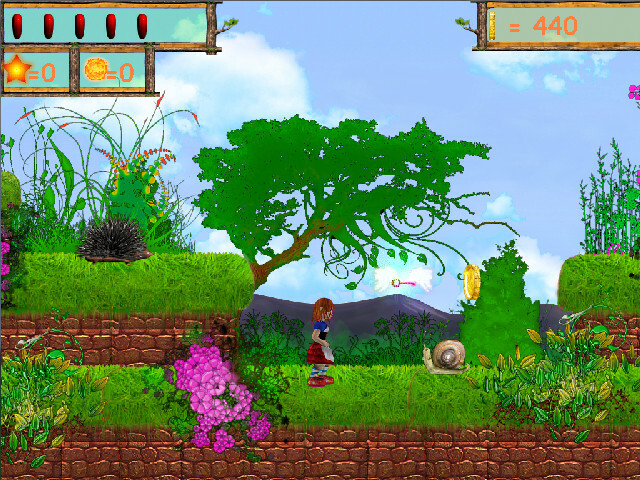 FalconLine Online Games Website, and Falco Space - Online Game! when you first install the game, but these can be deleted and do not affect your computer. If you miss today's game giveaway you can always get the game via MyPlayCity 24/7 HERE; or If you prefer to purchase the game you can get it HERE for £0.99p/$0.99 however it does require you own Funny Yo on the same platform HERE (£1.99/$1.99). 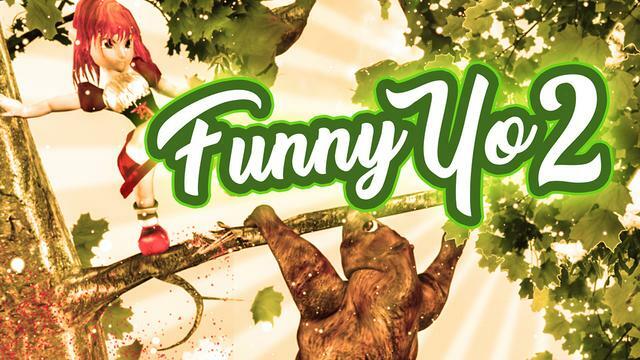 There’s also a Funny Yo 3 available HERE, (£0.99/$0.99). If you're having problems installing or activating or getting Funny Yo 2 to work please visit the FAQ's Thread HERE and read through the communities comments because sometimes fixes have already been posted, for example, a common issue seen since the Themida wrapper was introduced three years ago is that some community members installation of the game are blocked by their security because Themida code has been known to hide malware, (usually an error message is flagged for example 'The executable is corrupted' even though in reality it is not); so as a precaution some anti malware programs will block and even delete the suspect installation files even though the files (i.e. the setup, read me and setup.gcd files are actually totally free from malware. This issue can be solved either by rebooting your computer in safe mode with networking or a quicker method is to temporarily turn off your security software to allow the installation. You could also try whitelisting the setup.gcd file. In the almost 12 years this game giveaway site has been operating there has 'never' been a game given away that was infected with malware. I'd like to take this opportunity to thank Falcoware for giving away Funny Yo 2 and also to the game giveaway team, as always, for securing other ways to get free games. 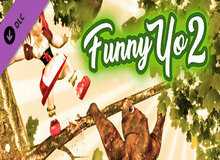 If Funny Yo 2 doesn't interest you, but you still hanker for something new to play, you'll find details of some game deals whether they be sale items, indie bundles or games being given away for free HERE (I've not updated the thread in a while, but most of the links still take you to the latest deals). Has anyone found a way past that bear? Okay, this is very strange! Playing Funny Yo (not 2) I have reached a level where she has to jump over rolling barrels and a bear. So far I have not been able to successfully allude them. The strange part is, when I switch over to Yo 2, it starts at the very same level, even though I haven't even done level 2 yet. I had exactly the same issue. Couldn't get past them, so restarted a new game, which so far has sorted the problem. Wheter it will reoccur IDK. I am still enjoying Funny Yo, which was a recent GOATD. This one will be just as good. The Falco games have been a nice change.